You are here: Home / Reverse Engineering / Docker IDA: The Large Scale Reverse Engineering System! Docker IDA: The Large Scale Reverse Engineering System! Docker containers are the future! It surely seems so from the myriad projects that are being ‘dockerized’! 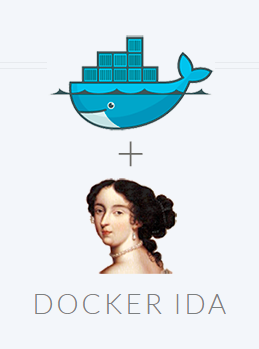 One such cool project is Docker IDA, your answer for large scale reverse engineering, which allows you to run IDA Pro disassembler in Docker containers for automating, scaling and distributing the use of IDAPython scripts. IDA Pro (Linux version) automatically installed with all its dependencies. pip install – Install external python libraries that integrate into the IDAPython engine such as pexpect, networkx, flask, gunicorn. With such a dockerized machines, you can perform automated unpacking of malwares, fuzz files, string de-obfuscation or check for for buffer overflow exploits. This project was tested with IDA Pro version 6.9. More information about this project can be found here.